1. 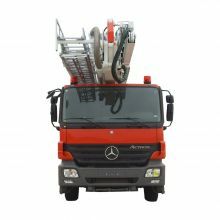 Imported BENZ 3332/6×4 chassis is adopted for the vehicle, with 16 forward gears and 2 reverse gears, the maximum speed can reach 85km/h; 6-cylinder V-type inter-cooling engine, 320 horsepower, with emission reaching European III environmental requirements; With ABS system and automatic navigation function; Controlled by electronic control module with hydraulic power assisted gear-shifting. The operation is smooth and reliable. 2. 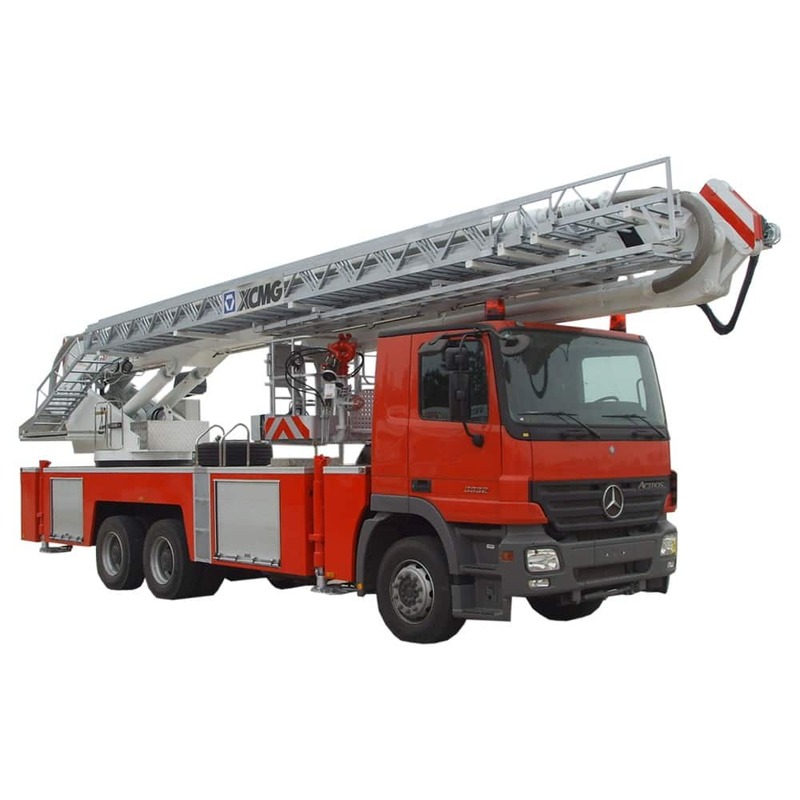 Vehicle superstructure is combined boom aerial platform fire truck of telescopic boom + folding boom, comprising four telescopic booms and one folding boom, which realizes synchronization telescope of telescopic booms and ensures smoothness of movement. 3. 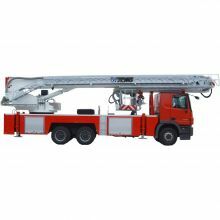 Advanced electro-hydraulic proportional control technology is adopted. 4. Deviation calculation technology by continuous detection with 3 angle transducers is adopted for platform leveling; closed-loop zero covering servo control hydraulic technology is adopted to realize continuous and stable leveling of platform without shaking. 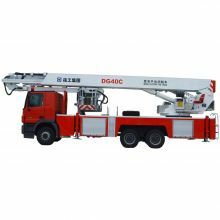 Both automatic leveling and manual leveling can be achieved for the platform. 5. Allowable load of the platform is 400Kg; angle of deflection of the platform is 45° to the left and right, so as to facilitate the auxiliary platform to get close to the subject of rescue; bracket of descent control device is set on the platform, and the descent control device can be used for rescue. 6. This truck is capable of gyration cushion. Planetary reducer and normally closed brake is adopted for slewing mechanism; the slewing mechanism is driven by constant displacement motor; cushion valve is set in the hydraulic system, achieving stable and reliable starting and braking, with good micro mobility performance. 7. Various emergency devices are equipped in it. When the electric control part fails, it can be operated manually, and when the main engine fails, it can start the gasoline engine to achieve emergency stop.